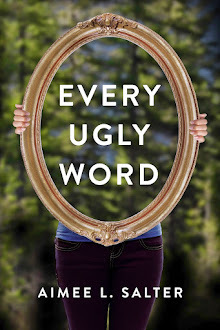 ONLY SIX MORE DAYS to Win a Signed Copy of EVERY UGLY WORD! Giveaway ends June 10, 2015. I've been musing a lot lately on where I am in my career, and what I thought "here" would look like versus how it actually sounds and smells. It occurred to me that a few years back if you'd described to me the events of the past year and said "That's going to happen to you!" I would have turned into a human firecracker. After all, it's exactly what I've been working towards most of my life. I've come to the conclusion that my writer-brain (Read: Where emotion and rationale converge) hasn't changed as much as the circumstances of my life. In other words, I still have the same fears, same insecurities, same tendency towards self-doubt as before. I was looking over this list I wrote FOUR YEARS AGO, and darned if I didn't still feel these ways, just in a different context. - Do you sit at the keyboard (or page) determined to write, yet equally convinced your words are worth less than the empty coffee cup next to you? - Have you finished a manuscript, yet find yourself paralyzed when it comes to querying? 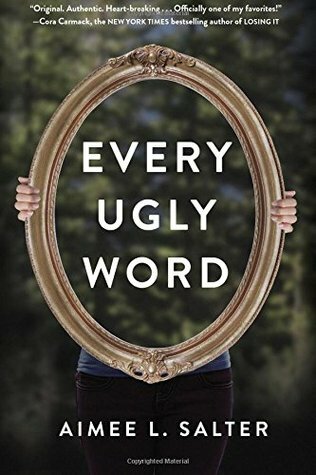 "I'll just read it through one more time..."
- Do you read all the industry blogs, enamored by other authors who are clearly more talented, more accomplished, more deserving than you and your book? - Are you sitting on a great idea because you can't figure out how to deliver it - certain no agent or editor is going to take you on anyway? The very worst thing that could happen (in this equation) is that you could spend months or years polishing up a manuscript, send it to every agent in the known world, and end up with nothing to show for it except an inbox full of "Sorry, not for me." What then? You'd be left with a story you love that no one else cares about. But if any of the statements above are true of you, then that's already happened. You're already living your worst-case-scenario. You already have a story no one else cares about you. You already have a nothing. You're living your worst nightmare. Right now. That means the only possibility from here is for things to stay the same (which you already know you can survive), or for things to get better. So... go finish the story. Gird your loins. Let other writers tell you how to make it better. Revise. Polish (and maybe repeat all of that half a dozen times). Then get advice on how to properly and effectively query an agent. Then send your baby out into the big wide world. Because the worst thing that could happen has already occurred. But maybe it's time for the best thing you can imagine. Your Turn: What's your greatest failure to date? Are you letting that hold you back from succeeding now? What could you do this week to take a step towards your definition of success?